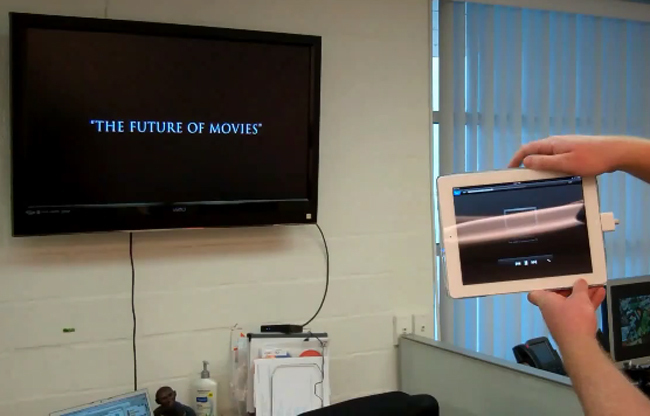 The new iPad 2 and the existing first generation iPad can stream movies to your Apple TV in 720p, unfortunately it cant do it in Full HD at 1080p, that was until Erice Govoruhk and Kelly McAteer developed their own HDMI accessory for the iPad 2. As you will see in the video below, this custom accessory for the iPad 2 lets you display everything on your iPad screen on your HDTV, and it was put together using a wireless HDMI transmitter and a USB battery pack. Everything is very rough, especially the housing. This all came together very quickly, and we’re still working everything out. I just wanted to show you guys, because I know some of you are looking for similar solutions. I’m going to try and get an Instructable together once we get everything a little more finished. Maybe even try some other things, like a belt pack for those that don’t want the added bulk in their hands, or what ever other ideas our tiny little heads can think of. It certainly looks very impressive, I wonder if they will turn this into an actual product for the iPad 2, you can find out more details over at MacRumors.